“There just had to be another explanation,” I thought. A whole class of 5 year olds wiggling and squirming through the entire story time I’d planned. Not one of them could make it through 15 minutes without a first-class fidget. Did they all have to go to the bathroom? Were they all misbehaving at once? Were they bored? Maybe I was a lousy storyteller? Why can’t kids just sit still and listen? 25 years of searching for the answer later, here's what I think. But more, I was shocked to discover THEY SHOULDN’T. You see, the human body is wired to learn through movement. When kids crawl, walk, run, scoot, climb, wiggle, giggle, squiggle, swing, rock, hang upside down, spin around, and yes, inevitably, fidget, they’re doing what nature requires them to do... MOVING THEIR BODIES TO PREPARE THEIR BRAINS FOR LEARNING. And that’s what MOVING SMART is all about. 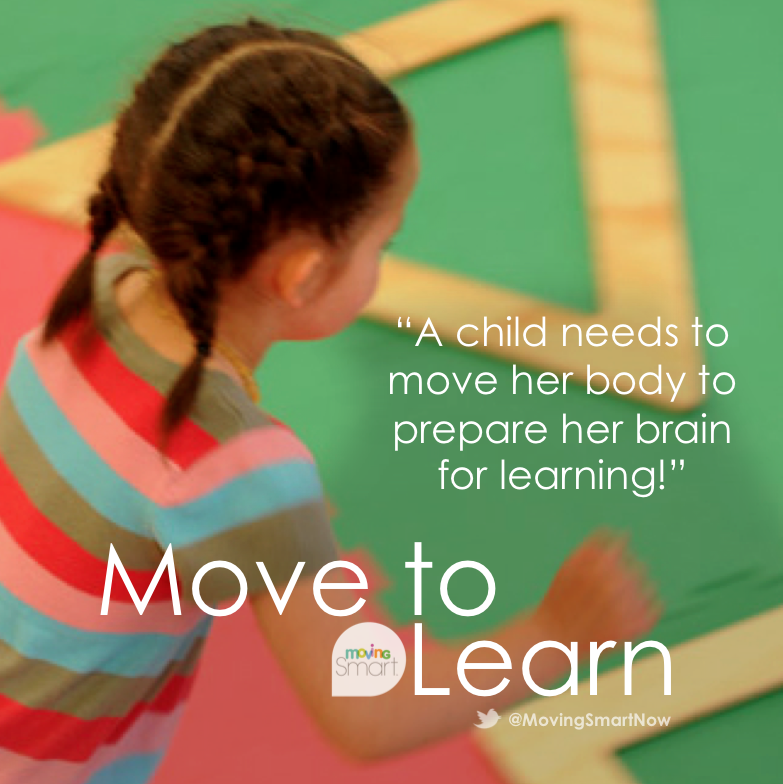 Through this blog and all the other things we’re doing, we hope to show you how the body teaches the brain (not the other way around)... that movement is the essential – and often overlooked -- starting point for children’s cognitive, social, emotional, and physical development... and that there are lots and lots of simple, everyday ways you can support, enhance and encourage all that wiggly-giggly-fidgety development while having fun along the way! You’ve heard of “teachable moments” – everyday, situation-based opportunities to explore, explain, and reinforce learning. 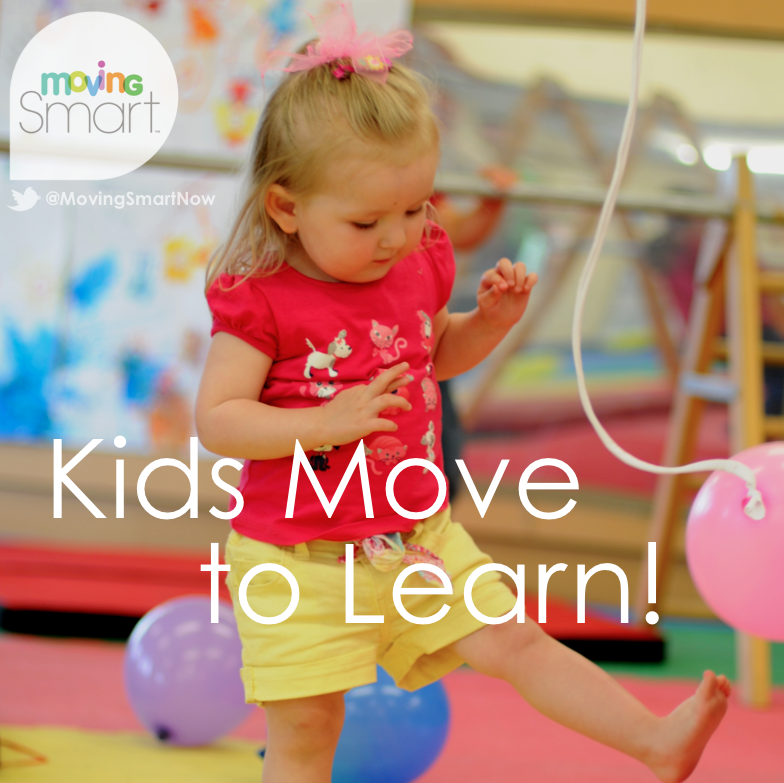 At MOVING SMART we believe in teachable moments, but we also encourage “Playable Moments” – creating fun-filled, skill-building foundations by turning everyday occurrences into moments of action-packed, giggle-inducing, (and sometimes stress-reducing) play! To show you what we mean, with each blog we'll share a new idea for adding a little more movement... and fun... into your day. 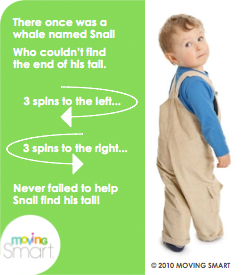 SNAIL THE WHALE CAN’T FIND HIS TAIL! This is a great lesson in speaking at the level of your audience. And how much more fun is this? I wish they'd incorporate more of this kind of teaching throughout the school years. Great suggestion! Of course kids can't sit still. We should learn from them and be healthier for it. So important for parents and educators! I agree with Sarah; we need to learn from our kids! Today, children are six times more likely to play a computer game than ride a bike. Growing numbers of schools are eliminating recess in favor of more time for reading, writing, and math. Our test-driven curricula are driving the elimination of creative and playful teaching practices in favor of rote learning methods. Childhood is becoming increasingly sedentary. Somehow, long ago educators came to think that learning happens when the learner is quiet, listening and in a seated position – that we open up their skull cap and pour knowledge inside. They forget that learners are living humans with physical needs; they think about the brain, but neglect the body. Learning that is active and experiential, involving movement, and arousing positive emotions is more effective than disseminating information in a one-way flow from teacher to learner. Since movement of the body engages the brain, it is the wise educator’s trump card. One of the single most powerful aspects of play is its ability to bring together the developing areas of the brain. Brain development is enhanced by play. Play, peer games, sports, and “new” games may enhance emotional intelligence by facilitating the encoding and decoding of social signals. Traditional seatwork engages less of the brain. If you want children to remember what they are learning, get them involved: Get them moving. Start ‘playing’ more and ‘working’ less” Play is one of the most effective strategies for learning and it ought to be an fundamental part of teaching.